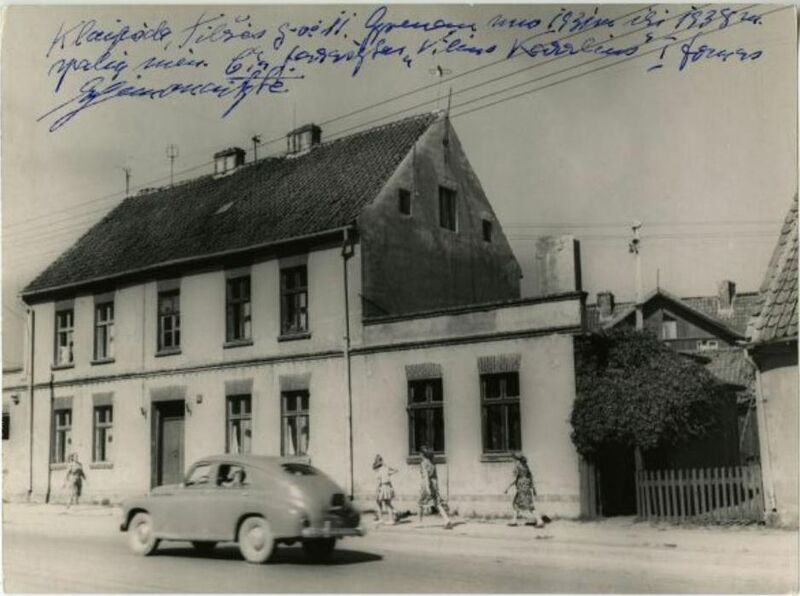 Ieva Simonaitytė, the writer of Klaipėda region, lived in this building (former Tilžės st. 11) between 1931 and 1938. Here, she wrote her novel Vilius Karalius. The building still stands and features a memorial plaque dedicated to the writer. It was built in the early nineteenth century and belonged to an artisan. The stone building consists of two structural pieces – the main building and a new wing with a separate entrance, which was added later and was Simonaitytė’s residence. 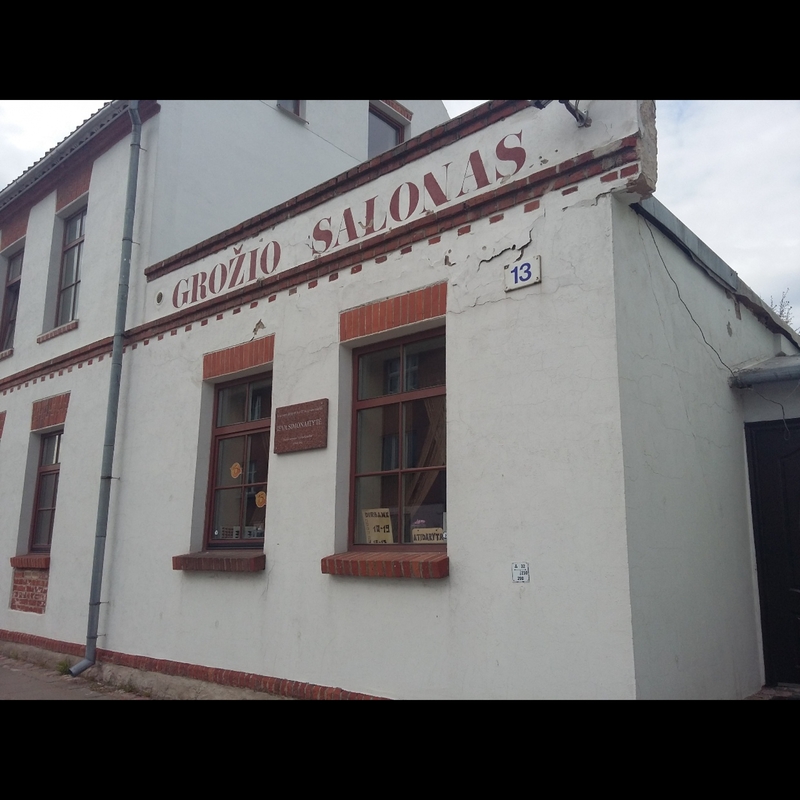 At that time, the building was owned by Heinrich Szabries (or Žiobrė), who had a furniture workshop in the backyard. 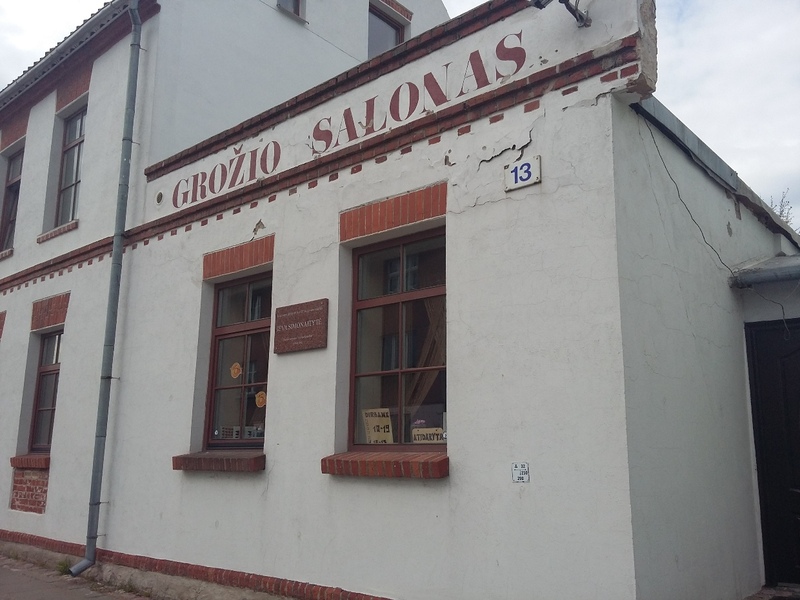 Simonaitytė had two separate rooms, a kitchen and other accommodations. She also grew grapes in the backyard, by the gate. It was “the most luxurious” apartment she ever had living in Klaipėda. 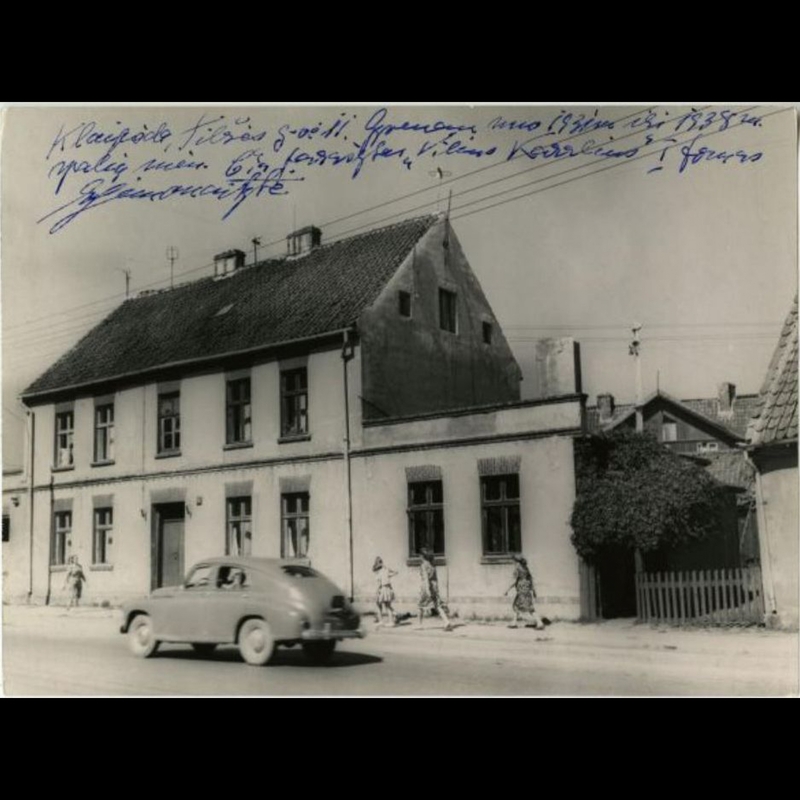 Unfortunately, due to the Hitlerites annexing Klaipėda region and the beginning of Second World War, the writer couldn’t return to her comfy residence. Later, she visited this place around 1966-1968. This building was used as a city library and nowadays (2017) it is a private domain with a beauty salon in the additional wing.